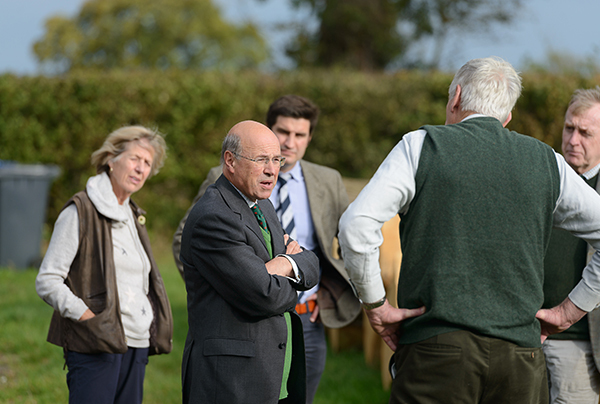 As part of Grown in Britain Week, Parliamentary Under Secretary of State for Rural Affairs and Biosecurity, Lord Gardiner of Kimble, saw the entire oak cycle demonstrated on a single Suffolk estate in just two hours. A process that normally takes over a century from the planting of a seedling to the making of fine, British wood products was brought to life at the Sotterley Estate, courtesy of forestry manager, Miles Barne, and the team at Sutton Timber, based at Sotterley Sawmills. The visit started by looking at two young oak compartments near the start of the cycle, aged four and twenty-four years. The new French system of silviculture designed to reduce the length of an oak rotation was demonstrated, with the four-year old compartment shared with an experimental crop of wild service to provide stand diversity. In the twenty-four-year-old compartment, oak ‘winners’ were pointed out, their canopies soon to be ‘halo-thinned’. 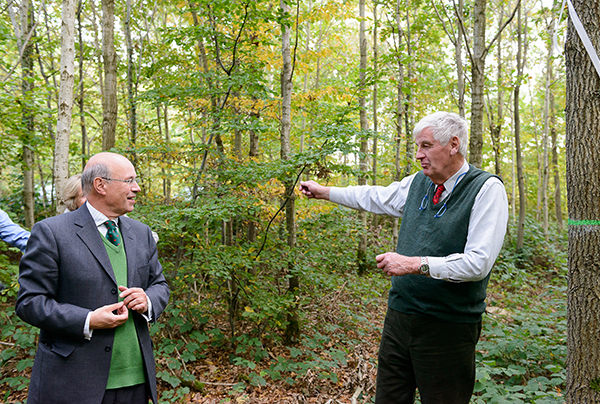 In growing oaks, success is never a ‘given’ especially with an increasing threat from pests and diseases as was demonstrated to Lord Gardiner by Woodland Heritage Chairman of Trustees, Lewis Scott, who showed the D-shaped exit holes of the Agrilus beetle on an oak infected with Acute Oak Decline. "I am immensely proud of our majestic oak, our national tree. My visit to the Sotterley Estate has given me a new understanding and admiration for the precise care and expertise it takes to grow oak to be tall, proud and healthy, ready to be turned in to beautiful wood products like the ones I saw today. "But from pests to disease, our oak trees face a range of significant threats. This is why it is vital we work together, government, woodland owners and industry, to do all we can to protect oak in the environment by maintaining the highest biosecurity standards, undertaking surveillance and acting quickly if threats arrive." To complete the silvicultural cycle, Miles Barne and forestry agent, Andrew Falcon, showed Lord Gardiner sixty ‘gun-barrel-straight’ oak logs that had been grown on the estate for 170 years and which had been felled recently and were then presented for sale. At Sotterley Sawmills, Ben Sutton explained the range of products that Sutton Timber supplies, including boards of a range of thicknesses, as well as a wide selection of flooring products. 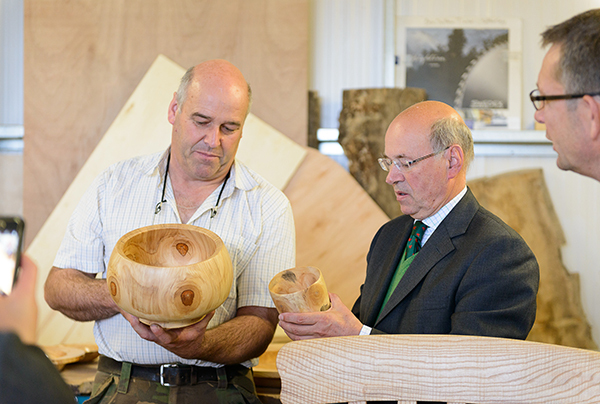 In the on-site machine shop, Tom Jones (machinist and cabinet-maker), Philip Read (joiner and cabinet-maker) and Nick Shore (wood turner) demonstrated the wealth of uses for high quality timber that had created a variety of fine furniture and treen on display. 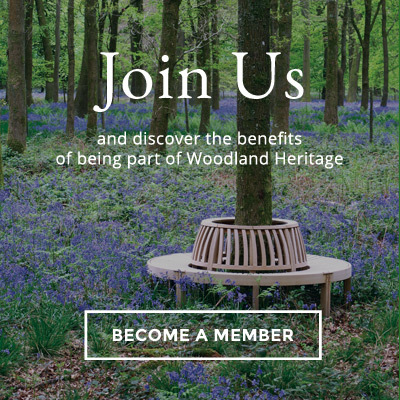 “Woodland Heritage is in the midst of investing some £2m into research into Acute Oak Decline, whilst also supporting activity throughout the timber supply chain that helps growers and users to benefit from this essential part of the UK economy”, said Lewis Scott. 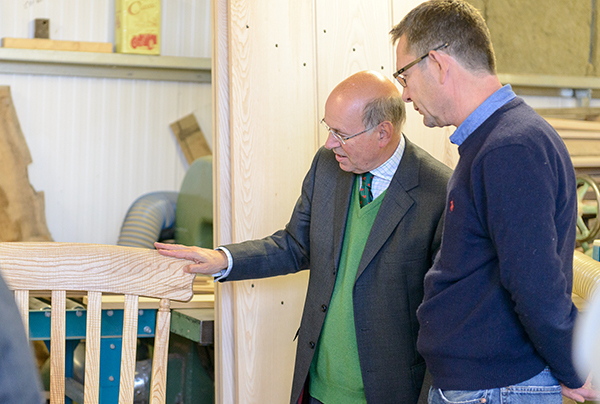 “To have had the chance in such a short time to show all of these important parts of our charity’s work to Lord Gardiner was a wonderful opportunity and we are most grateful to Miles Barne and Ben Sutton for helping to make this visit happen”.